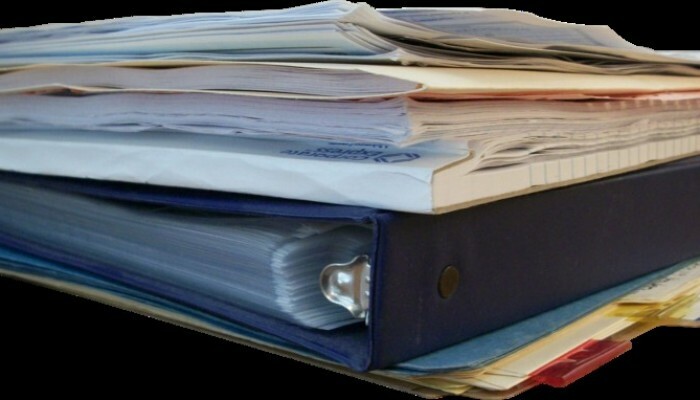 The Sustainable Geoscientist – how many papers should academics really be publishing? 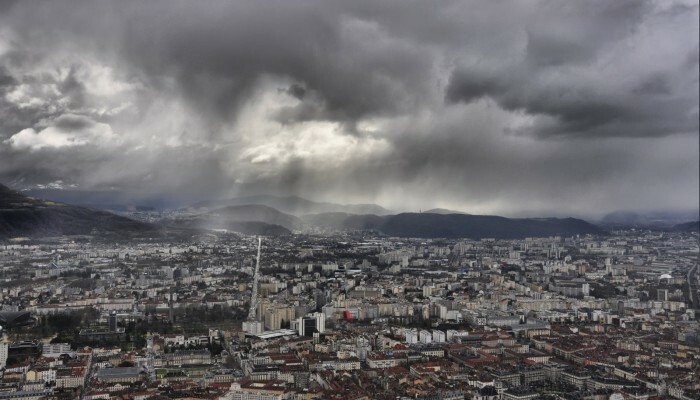 In this guest blog post, Nick Arndt, Professor at the Institut des Sciences de la Terre, Grenoble University, reflects on the pressures on academics to publish more and more papers, and whether the current scientific output is sustainable. Imagine a highly productive car factory. Thousands of vehicles are built and each is tested as it leaves the factory; then it is stored in an enormous parking lot, never to be driven. Science publication is going this way. It is becoming an industry that produces without reason or limit, with no consideration whatsoever of whether the product is ever consumed. 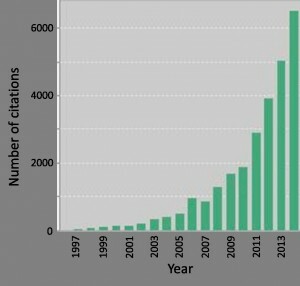 A successful scientist is now required to publish 5 or more papers per year, the pressure coming from the need to foster the H-index and boost the total number of citations. Twenty years ago, to publish a paper in Nature or Science was all very well, but nothing that special; now, according to persistent rumours, a Chinese researcher can buy a used car with his share of the reward his university receives for such a publication. 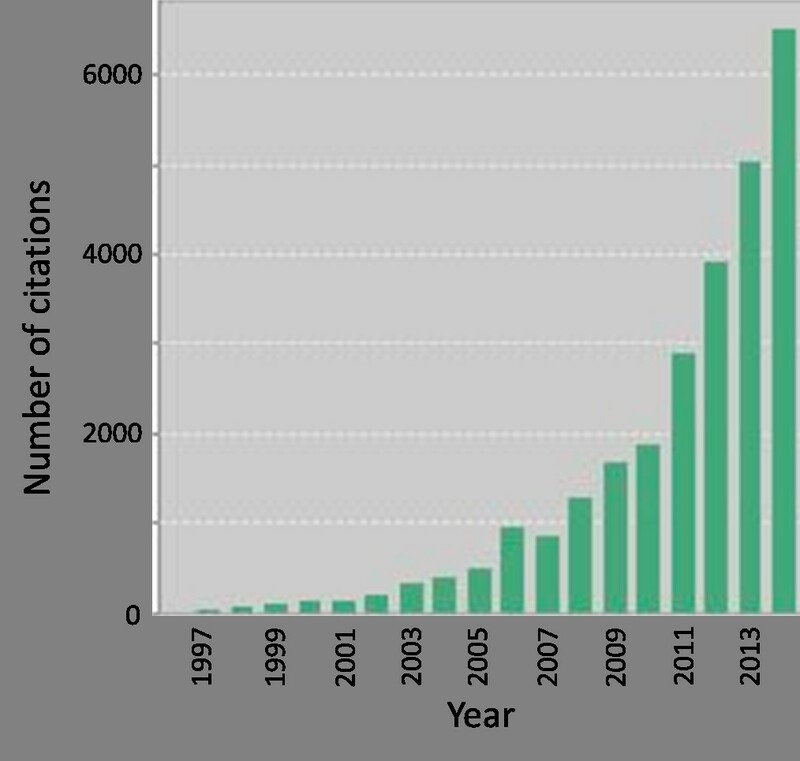 Some months ago, a geoscientist (let’s call her Tracy) saw that Earth and Planetary Science Letters (EPSL) had published over twice as many papers in 2014 (about 630) than in 1990 (about 250). She recalled that twenty years ago there was just Nature; since then the publishing house has spawned Nature Geoscience, Nature Climate Change, Nature Arabic Edition and 36 other siblings, not to mention Nature Milestones, Networks, Gateways and Databases. In 2001 Copernicus Publications launched its first highly successful open-access journal; now it publishes about 50. Each day Tracy receives an email invitation to contribute to, or edit, a newly launched publication; such as the Comprehensive Research Journal of Semi-Qualitative Geodesy, impact factor 0.313, which “provides a extraordinary podium where scientists can share their research with the global community after having traversed numerous quality checks and legitimacy criteria, none of which promises to be liberal”. An editor of one well-known biology journal now handles 4300 manuscripts per year. The explosion in the number of new journals means there are quite enough portals for Tracy to publish her annual quota, but are these papers ever consumed? What proportion is ever read? One well-known geoscientist published 114 papers in 2014, more than two per week. Did he have time to read them? Imagine an artisan in a Morgan car factory, carefully hand-crafting V6 Roadsters, each car taking two full weeks to finish. Some of these become collection pieces, stored and never driven. Geoscience papers are going in the same direction – the time taken to write them is far, far longer than the time dedicated to reading them. Many of us now admit that the only time we read a paper from cover to cover is when we do a review (the equivalent of the test drive). Tracy knows from talking to others that her own papers are never read thoroughly, even those that are remarkably highly cited. Citation report for two highly productive researchers (Prepared by N. Arndt using Web of Science). Tracy has resolved to become sustainable, which means that she will publish no more than 2 papers per year and will train no more than two PhDs during her career. By avoiding shingling and taking care with the writing, the two papers will be quite sufficient to report the results of her research (at least those that warrant publication). The fate of some of her PhD students worries her; does a thorough knowledge of Semi-Qualitative Geodesy really help Judith, who now works in a bank, or Christophe, a mountain guide? She thought that 2 PhDs would be quite sufficient, one to replace her when she retired and the other reserved for that one student who was brilliant. The sustainable geoscientist has a very mixed opinion of the science funding industry. She applauds the measures taken to help assure that money goes to the best science, but deplores the time and effort that is consumed. She spends a third of her time writing proposals to one agency or another, knowing that the chances of success are far less than one in ten. Another large slice of time is spent reviewing the proposals of others, a exercise she suspects is futile because the final decision will be based mainly on the H-index. She looks forward to the time when her grant proposals will be judged from the content of her two publications per year, which will be read thoroughly by all members of the evaluation committee. 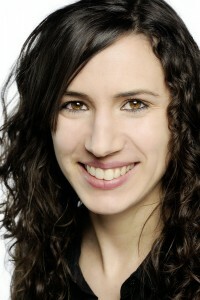 This month’s GeoEd post is brought to you by Dr. Mirjam S. Glessmer. Mirjam is a physical oceanographer, who during her PhD at GEOMAR Kiel, Germany, became more and more interested in understanding how people learn and hence did a Masters of Higher Education in parallel to her PhD. During her PostDoc at the University of Bergen, Norway, she became involved in teaching both university courses, teacher trainings and in outreach settings, and decided that while she is an oceanographer at heart, her real passion lies in helping others teach about the ocean and climate. Currently Mirjam is a Coordinator of Teaching Innovation at the Center for Teaching and Learning at Hamburg University of Technology and supports professors, teaching staff and student tutors in improving their courses. Mirjam blogs about her “Adventures in Teaching and Oceanography” and tweets at @meermini. Get in touch if you are interested in talking about teaching and learning in the geosciences! In my second year studying physical oceanography, I got a student job in an ocean modelling group. When I excitedly told my friends and family about said job, most of them did not have the slightest idea what I might be doing. Aside from the obvious and oh-so-funny “you are a model now? !”, another common reaction was “modelling – with clay?” and the picture in those people’s head was that of an ocean model resembling the landscape in a miniature train set, except under water. And while there are many groups seeking to understand the ocean by using simplified versions of the ocean or ocean regions, simplified geometries, selected forcings acting on it, etc – this is not the kind of model I was supposed to be working with. Modelled sea surface temperature of the ocean off Mauritania, North-West Africa. Depending on the model resolution, smaller and smaller features in the sea surface temperature are resolved by the model. Explaining to a laymen audience what a climate model is a daunting task. We have all seen the images of a region divided into smaller and smaller squares as a visualization of boxes which represent a grid on which a set of differential equations is solved, yielding a solution for each of the boxes (See Figure 1). But do we really expect everybody we show this to grasp the idea of how this might help to understand climate if they don’t have the background to understand what a differential equation is, let alone how it has been discretised and programmed and is now being solved? From my experience it is very difficult to keep people interested and captivated using this approach and, unless they already have a pretty solid background, it is unlikely they will actively engage in the topic and ask clarifying questions. A new approach: Let them experience the process of building a model! I therefore suggest we use a different approach. Instead of concentrating on explaining the mechanics of an ocean model, let us focus on letting people experience the idea behind it by using a “mystery tube” to represent the climate (or whatever process we want to model) and have the audience build their own “models”. Basically, we have a tube that is closed off at the top and at the bottom (See Figure 2). Four pieces of string come out of it. When you pull one out, another one gets pulled into the tube. So far, so good. But the pattern of which string gets pulled in when another one gets pulled out suggests that there is something more going on inside the tube than just two pieces of string going in on one side and coming out at the other. So, how do we figure out what is going on? Some of you may have already seen a possible solution to the problem. Others might find one as soon as they’ve gotten their hands on a mystery tube and pulled on the strings a couple of times. 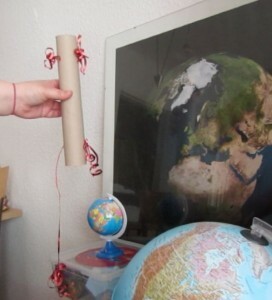 Others might need their own tube and pieces of string to play around with before they are reasonably confident that they have an idea of how the mystery tube works. If you were to use mystery tubes in outreach (or with your friends and family, or – always a hit – with your colleagues), it is in fact a good idea to have a couple of “blank” tubes and pieces of string ready and let everyone have a go at building their own mystery tube that reproduces the functionality of the original one. Ideally, as you will see below, you would have more than just the bare necessities ready and also offer flat washers, springs, paper clips or any other distracting material that might or might not be inside the mystery tube. Why offer “distractor” materials? Because we are trying to understand how people come up with climate models, remember? The original mystery tube represents the process we want to model. We do not know for sure all the important components of that process, and therefore do not know what needs to be included in the model, either. Now, in the instructions on the internet the two pieces of string are connected inside the tube by way of a ring through which they are both fed. When I first build my own mystery tube, I was too lazy to search for a ring to connect the pieces of string, so I just crossed the two threads over. After all, the ring wouldn’t be visible in the final product, and the function would remain the same anyway! Which brings me to the main point of this blog post, first made by my friend and fellow outreach enthusiast, Dr. Kristin Richter (currently University of Innsbruck, Austria), who is always my first stop when wanting to bounce ideas for demonstrations or experiments off: This is exactly why modelling climate is so difficult! We can build a perfectly working mystery tube but unless we cut open the original one we will never know whether our solution is the same as the one in the original mystery tube, i.e. whether there is a ring inside, or a paper clip, or the two pieces of string are just crossed. A very non-fancy mystery tube: A paper kitchen towel roll with two pieces of curly ribbon going through. But what goes on inside? You might argue we could find out what is inside the original mystery tube by other means, for example by shaking it and listening for rattling, by weighing it, or by many other methods. Yet, can we ever be sure we know exactly what is inside? And more importantly, would we even think of shaking or weighing the mystery tube if we weren’t specifically looking for what connects the two pieces of string? And are we really sure we are reproducing the full functionality of the original mystery tube? Maybe the original ring has a blade on the inside, so after a certain number of experiments one of the strings will be cut? Or maybe there is something else inside that will happen eventually, but that we cannot yet predict because our mystery tube, while reproducing what we observed from the original tube, just does not include that element. The same goes for climate models, of course. We can reproduce what we observe reasonably well. Assuming we know of all “parts” of the climate and how they work together, we can make a prediction. But the climate is a lot more complex than a mystery tube. Of course, climate models are based on physical principles and laws and not just best fits to observations. Yet, in many places decisions have to be made for or against including details, or for representing them by one parameterisation and not another. Can we ever know for sure what the future will bring? So does that mean we should give up on making models of the climate because, while we might be able to reproduce the status quo, prediction is impossible? Absolutely not! But we need to be aware of the possibility of feedback mechanisms that might become important once a threshold has been crossed or tipping points (like when a hypothetical blade inside the ring will have cut through one of the pieces of string). If we are aware that there might be more to the mystery tube than just the pattern of how strings move which we observed at the beginning of this post, we can watch out for signs of other components. Like listen intently to the noise the string makes when gliding through the mystery tube, or listening for rattling when you shake the tube, or monitor the strings for wear indicating there might be a hidden sharp edge somewhere. And the same obviously goes for climate. We need to monitor all observations and look closely at any deviation of the observations from our model. We need to come up with ideas of processes, which might become important under different conditions and look out for signs that they might already start to occur. We need to be aware that processes we haven’t seen evidence for yet might still be important at a different parameter range. Once we have gone through all this with our audience, I bet they have a better idea of what a modeller does – even though they still might not have a clue what that means for the average day at work. But typically, people find the mystery tube intriguing, and you should definitely be prepared to answer a lot of questions about what your model does, how you know whether it is right, what processes are included and what are not, and voilà! We are talking about how to make climate predictions. GeoLog followers will remember our previous report on Citizen Geoscience: the exciting possibilities it presents for the acquisition of data, whilst cautioning against the exploitation of volunteered labour. 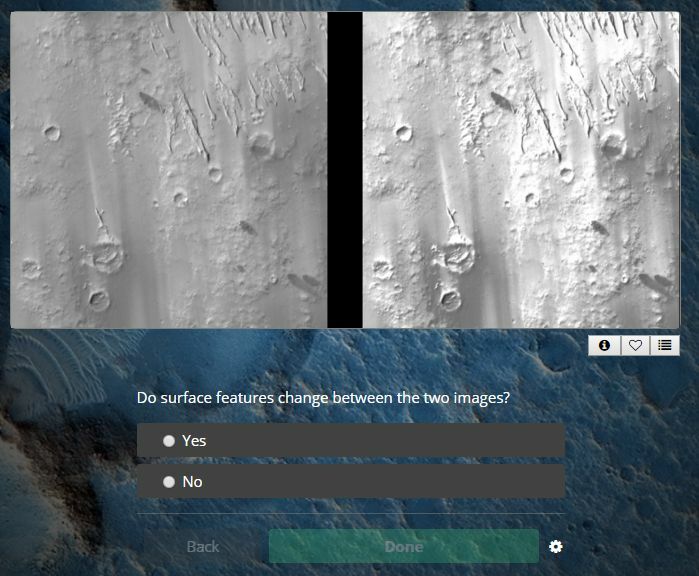 This blog presents a Citizen Science platform that goes beyond data collection to analysis, specifically for geological changes in remote sensing imagery of Mars. Jessica Wardlaw, a Postdoctoral Research Associate in Web GIS, at the Nottingham Geospatial Institute, introduces ‘iMars’ and explains 1) its scientific mission and 2) why imagery analysis is especially suitable for a crowd sourcing approach, so that you might consider where and how to apply it to your project. Imagine, just for a moment, that the Mars Geological Survey invited you to an interview for the position of Scientist in Charge. Why and how would you reconstruct the geological past for a remote planet such as Mars? Where would you start? Earth is the “Goldilocks” planet, not only for human habitation but for geologists too, who can sample and test rock to understand the evolution of the Earth’s surface on which to base well-established theories such as plate tectonics. To understand the geological past and processes of remote planets, however, requires different approaches. 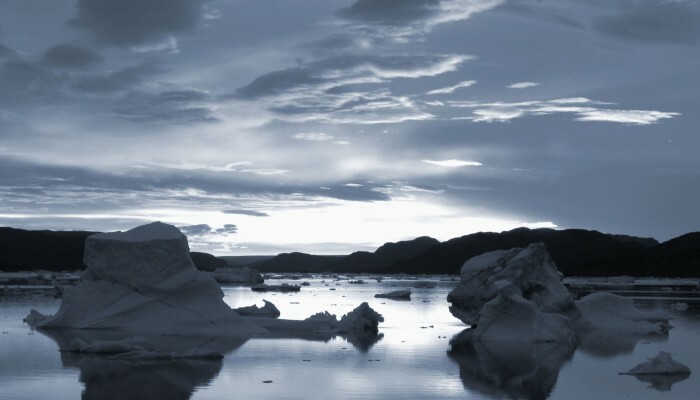 Planetary scientists investigate the climate and atmosphere, and the geological terrain, of planets to further understanding of our own place in the solar system. Mars provides a scintillating snapshot of early Earth; whilst some scientists contend that plate tectonics has historically happened on Mars, 70% of its surface dates from the moment it formed and provides a platform from which to view Earth in its infancy. In fact, despite our limited knowledge of Mars, it has already informed our understanding of Earth, inspiring James Lovelock’s Gaia theory. Imminent missions to the red planet are also already exploiting geological information to inform landing sites and routes of roving vehicles on Mars. The more information scientists have, the more likely missions are to land in suitable locations to successfully pursue scientific goals, such as understanding the ability of the Martian environment to support life and water, both now and in the past, which could further theories on the origins of the solar system, life on Earth, and Earth’s destiny. Many will remember this summer for the astonishing images that arrived from Pluto, but 50 years ago, almost to the day, people celebrated the first successful fly-by mission to Mars. 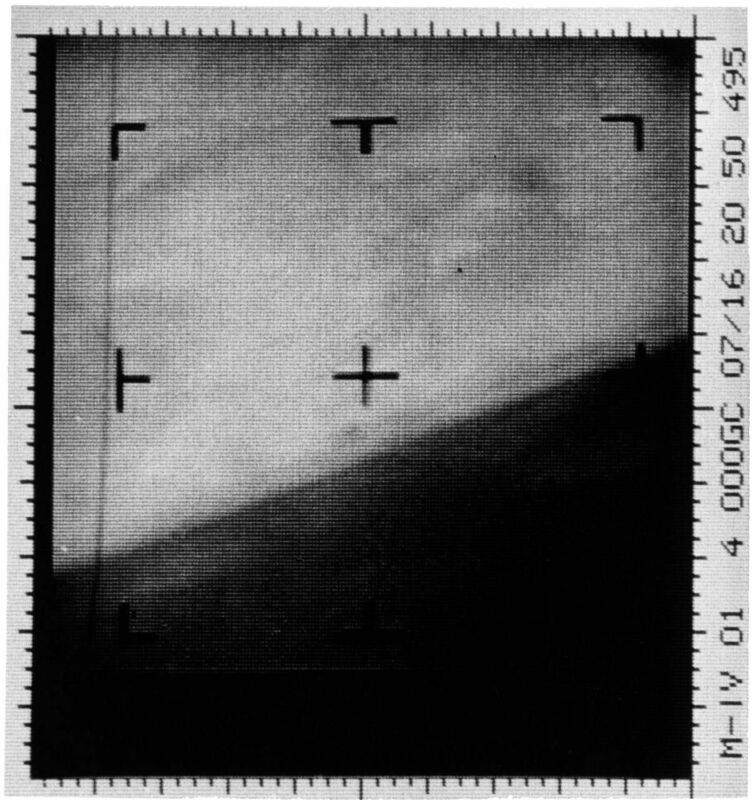 Mariner 4 took 21 images from a distance 6,000 miles, which, after the initial excitement, disappointingly revealed that Mars had a Moon-like cratered surface, and led to a long-held misconception of a dead, red planet. It was in 1976 that two Viking landers touched down on the red soil for the first time, paving the way for further Martian missions, with the first mission of the European Space Agency’s ExoMars programme launching next year. 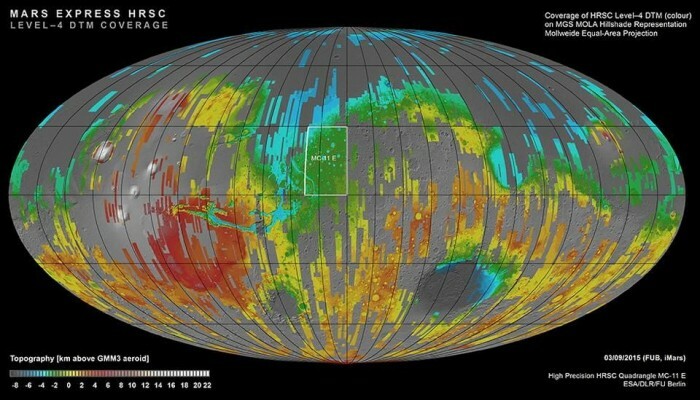 Scientists analyse the size and density of craters from meteorite impacts to age the surface. The theory goes that smaller meteorites collide with a planet much more frequently than larger ones, and older surfaces have more craters because they have been exposed for longer. Advances in imaging technology since then now provide scientists with greater granularity than ever before and glimpses of other geologic features, recognisable from the surface of the Earth; sand dunes, dust devils, debris avalanches, gullies, canyons all appear and tell us about the planet’s climatic processes. The Planet Four website is just one example. The images taken of Mars over the last forty years reveal changes on the surface that indicate invaluable information that help us to understand the climate and geology of the planet. Changes are visible in imagery over a variety of timescales, from rapidly-moving dust devils (much bigger that the one that once trapped me in Death Valley), seasonal fluctuations of the polar ice caps and recurring slope lineae (recently reported to indicate contemporary water activity) polar ice caps and the snail-slow shaping of sand dunes. The quality and coverage of these images, however, varies greatly due to atmospheric conditions and tilt of the camera amongst other reasons. To create a consistent album of imagery, that we can confidently compare and use to identify geological changes in the images, requires considerable computational work. Images from across as much of the Martian surface as possible must be processed to remove those of poor quality and correct for different coordinate systems (co-registration) and terrain (ortho-rectification). The iMars project is applying the latest Big Data mining techniques to over 400,000 images, so that they can be used to compute and classify changes in geological features. On a Citizen Science platform, Mars in Motion, volunteers will define the nature and scale of changes in surface features from ortho-rectified and co-registered images to a much greater detail. Human performance is inherently variable in ways we cannot fully control, either, in the same way that we can control the performance of an algorithm. Although we are investigating this too, this would require another blog post! For now I will describe the reasons why we are using a crowd-sourcing approach for this project so that you might consider how you could apply it to your research. First of all, humans have evolved over millions of years to identify subtle variations in visual patterns to a more sophisticated level than computers currently can. Computers can execute repetitive tasks and store an infinite amount of information with far less impact on their performance than humans; the human mind, however, has proved to be too flexible and creative for computers to fully replicate, with the success of Citizen Science projects such as Galaxy Zoo, which has so far resulted in 48 academic publications. 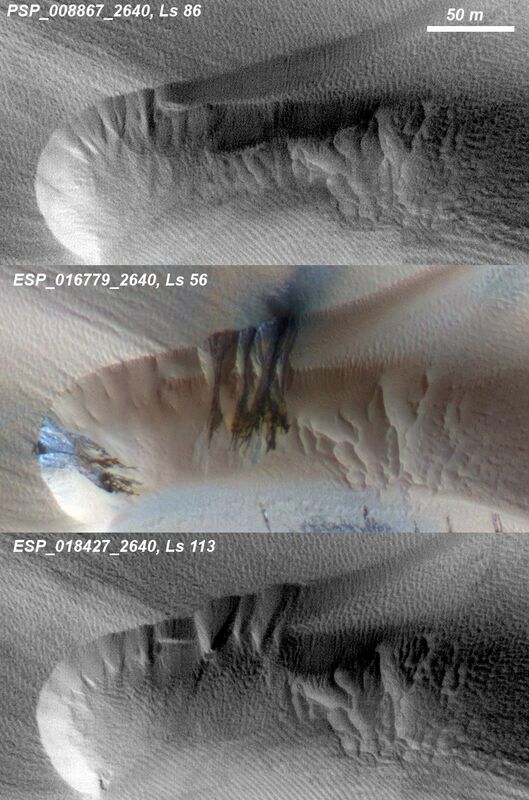 The slow seasonal shift of sand dunes on Mars, for example, would require a computer algorithm of inordinate intelligence to identify, as previous attempts to automatically detect impact craters, valley networks and sand dunes in images of Mars have found. Recent research has resulted in some very sophisticated algorithms for image analysis, but detection of changes in such a range of geological features over the range of spatial and temporal scales that we are looking to do is computationally complex and expensive. Without sending somebody to Mars, how do we know whether the computer is correct? Machine learning algorithms can only calculate what you ask them to, so are ill-equipped to make the sort of serendipitous discoveries of the unknown required in the detection of change. Volunteers in the Mars in Motion project will seek differences (Figure 4), rather than similarities, between the images and it is inherently challenging to program a computer to find something that you don’t even know to look for. Mars in Motion: Spot the difference…on the surface of Mars! Secondly, we have so much data that scientists could not possibly do all of this themselves! In many areas of science and humanities, but especially in Earth and Planetary observation, Big Data capture is growing at an astronomical rate, far faster than resources and techniques for its analysis can keep up so that we are increasingly unable to handle it. This is where geoscientists have started to join the trend for recruiting volunteers to analyse imagery with some success; through large crowd-sourcing image analysis projects, like TomNod, citizens continually contribute interpretation of images for social and scientific purposes. The number of volunteers, however, is finite and the increase in data places more and more demand upon their time. Researchers using the Citizen Science approach must now carefully consider how their projects can utilise volunteers’ time effectively, efficiently and ethically. Third and finally, a crowd-sourcing approach exposes the public to improvements in imaging technology and brings the dynamic nature of the Martian surface to life. This can only improve the chances of space exploration receiving further funding and entering classrooms through the way it combines many areas of Science, Technology, Engineering and Mathematics. Serendipitously, the engagement of the public also increases the number of pairs of eyes that analyse the images and, as such, the confidence with which scientists can use their classifications. As we collect more and more data, image analysis will necessarily require collaboration between humans and computers, as well as between volunteers and researchers, to manage it. I hope this post gives you an insight into how we are applying the Citizen Science to consider how it might help your research too. There is actually no better time to try setting up a Citizen Science project with the launch of the Zooniverse project builder, which makes it easier than ever before to build your own project. The research leading to these results has received funding from the European Union Seventh Framework Programme (FP7/2007-2013) under the iMars grant agreement no. 607379. Visit www.i-mars.eu and follow @JessWardlaw for updates on iMars and Mars in Motion.